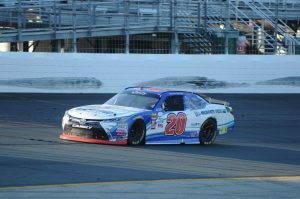 (VIA NASCAR Wire Service) LOUDON, N.H. – Kyle Busch’s celebratory burnout produced a cloud of smoke over the frontstretch at New Hampshire Motor Speedway, but Ryan Preece’s first run in top-of-the-line equipment made an even bigger impression in Saturday’s Overton’s 200 NASCAR XFINITY Series race. After a major snafu on pit road took a potential win away from Brad Keselowski, who had arguably the fastest car at the Magic Mile, Busch cruised to a 10.425-second victory, collecting his third win in six starts this season, his sixth at NHMS and the 89th of his career, extending his series record. Driving the No. 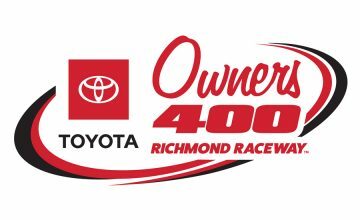 20 Joe Gibbs Racing Toyota first the first time, Preece finished second to his far more experienced teammate and left the track hoping his performance will open the eyes of someone looking for talent behind the wheel. Preece, who will race at Iowa on July 29 in his only other scheduled event in the No. 20 car, ran the full NASCAR XFINITY Series schedule last year in Johnny Davis’ No. 01 Chevrolet. 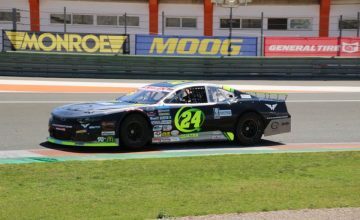 “I don’t take back doing what I did last year,” Preece said. “It was great. People don’t even know that I ran full-time, but I got laps. That’s what you need sometimes. I’ve been doing this all my life, so all I needed was the right opportunity. The race, which ran without a caution from a restart on Lap 97 to the finish at Lap 200, turned on the final cycle of green-flag pit stops. Busch ducked onto pit road on Lap 169 for fuel and fresh tires. Keselowski, who led a race-high 102 laps, brought his car to the pits on Lap 170 but had to angle his No. 22 Ford around Kyle Larson’s No. 42 Chevrolet, which had started to leave its pit stall as Keselowski pulled in. When the jack dropped and Keselowski accelerated, the gas can was still locked into its coupler, and the forward motion of the car pulled both the can and the fueler out of the No. 22’s pit stall. Keselowski had to serve a stop-and-go penalty for dragging equipment outside the pit box. His winning chances gone, Keselowski finished fifth, more than 18 seconds in arrears, as one of six cars on the lead lap. Keselowski had a succinct summation of the afternoon. “It’s always fun being fast and leading the most laps and all that, but we just didn’t put the whole race together today,” he said. Sunoco rookie of the year frontrunner William Byron ran third, with Larson, Keselowski and Ben Kennedy behind him. 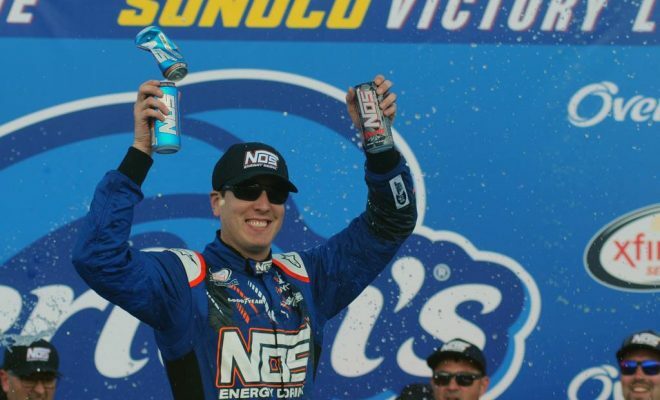 Byron is second in the series standings, 45 points behind leader Elliott Sadler, who ran seventh, the first driver one lap down.